Join the Provo chapter of the Worldwide Ride of Silence on May 20th to ride to the brand new Ghost Bike Memorial for Douglas Crow, who was struck and killed by an SUV on February 15th, 2013. 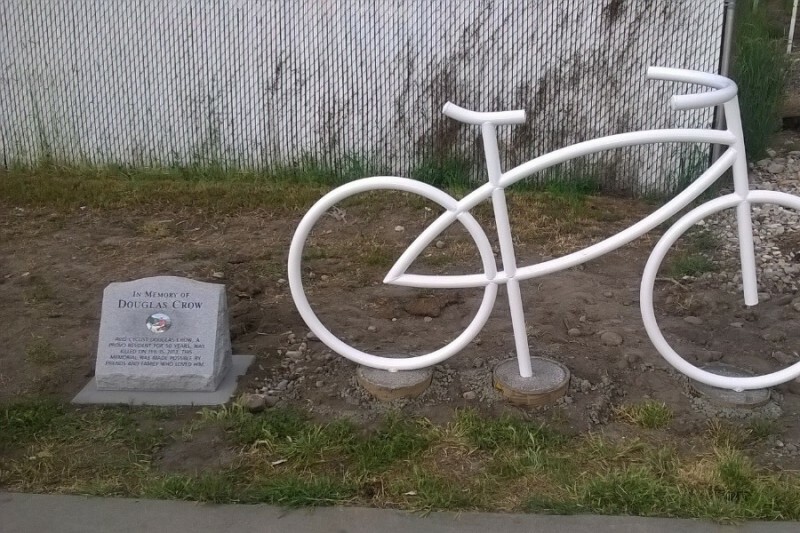 We will begin at Dixon Middle School (750 W 200 N, Provo, UT) and go for a short, slow, silent ride to the Ghost Bike Memorial located at the location of Crow’s accident at the railroad crossing at 700 West 600 South. We will then ride back to Dixon Middle School where we will have light refreshments. In addition, Kona Ice will be at the event selling their over 40 different flavors that are gluten, dairy free and upon request they can serve dye free/sugar free flavors! All proceeds will go to help promote bike safety at The Provo Bicycle Committee. Come help the family of Douglas Crow as well bicycle enthusiast in the Provo area promote bicycle safety and awareness in this unforgettable event. For more details, see the Facebook event. 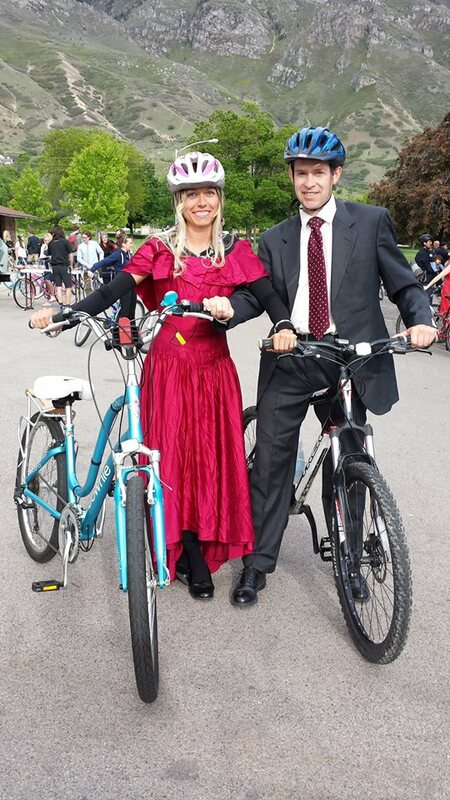 Have You Seen These Gorgeous Snapshots from the Provo Bike Prom? 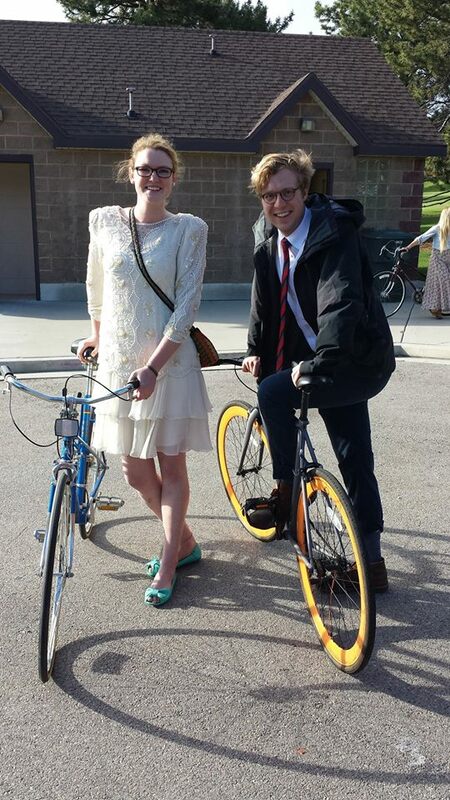 2015 Bike Prom attendees didn’t let the threat of rain ruin their fun. 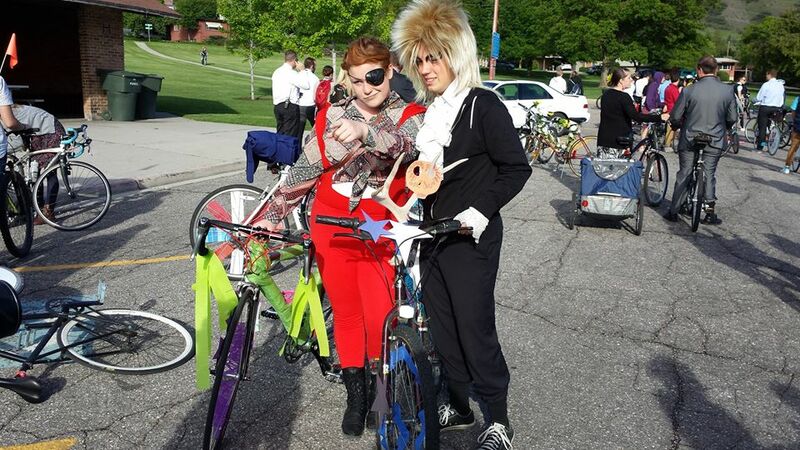 This second annual Provo Bike Prom was a magical party with an even more magical ride. Revelers came from all over the county, dressed to the nines, and ready to roll. 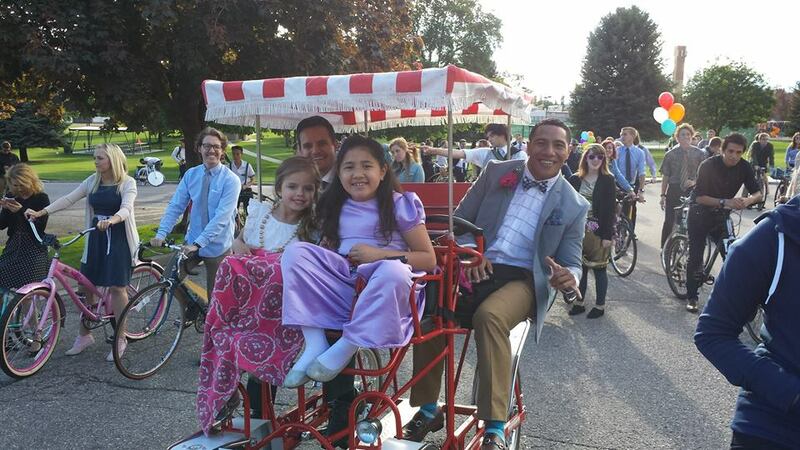 After a scenic ride around Provo, this dazzling crowd headed to the dance floor where they were treated to sweets, mocktails, and turntabled tunes. Thanks to Mary Ann Nielsen for sharing these gorgeous photos of the night (you can see even more on the Utah Bicycling Club Facebook group). 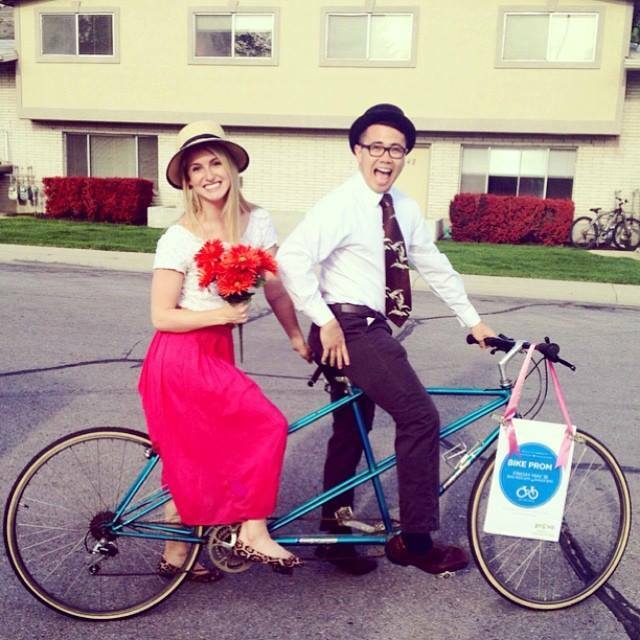 Put on Your Party Shoes…It’s Time for Provo Bike Prom! 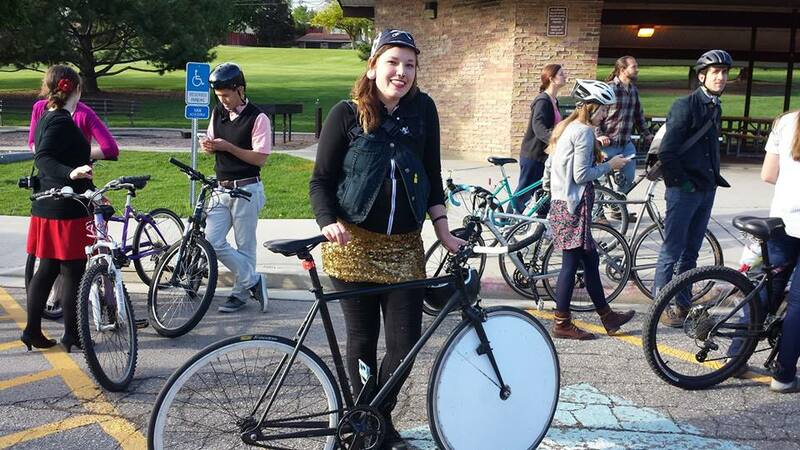 Spiff up your bike, add some streamers, and put on your finest party digs for the Bike Prom! 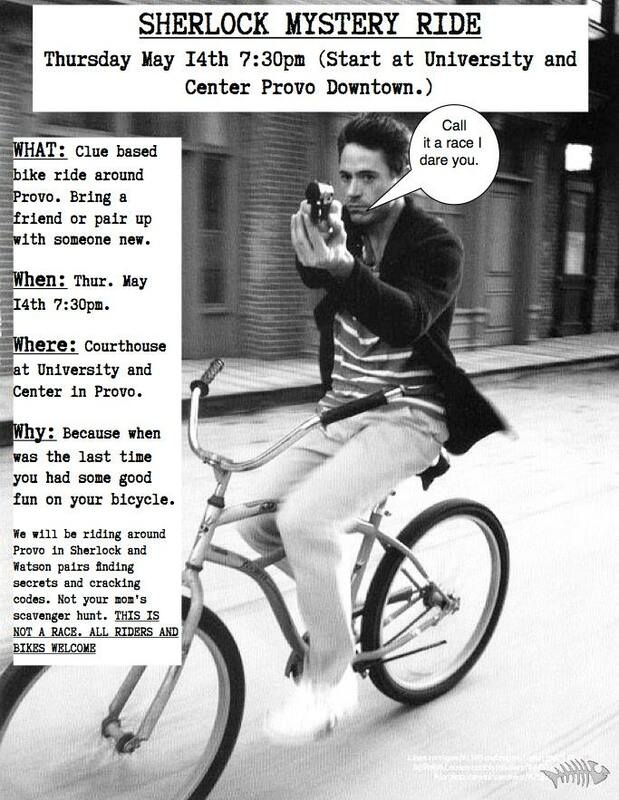 – 6PM Leisurely, pre-prom bike ride en masse through Provo (1 hour, leisurely ride) hitting iconic locations around town. All ages and abilities are invited to participate in the ride. – 8PM Following the promenade, join us for the dance at the Provo Recreation Center. Enjoy mocktails, hors d’oeuvres, the photo booth, and DJ. 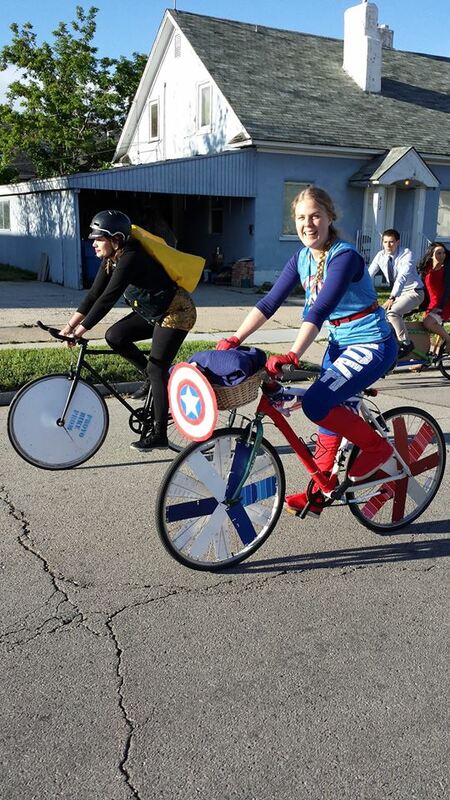 Prizes will be awarded for the best decorated bike, best dressed cyclist, and more. Tickets must be purchased for the dance (Age 17+), $8 advanced or $10 at the door (while supplies last). Prom attired is optional, but encouraged for both the ride and the dance. Child care is available when requested during pre-registration. For more info, check out the event Facebook page or the Provo City Events page. Come with a partner (Sherlock/Watson) or come solo and meet someone new as you chase clues, test your skills, and end with a rad BBQ. The ride will happen come rain or shine. The games a foot, and we will see you there. When: May 14th RESCHEDULED TO MAY 22nd at 7:30 p.m.
Where: The Courthouse on the corner of University Ave. and Center St.
See even more Provo Bike Month events here. If you have been looking for a good reason to park your car and take your bike to work – this is it. 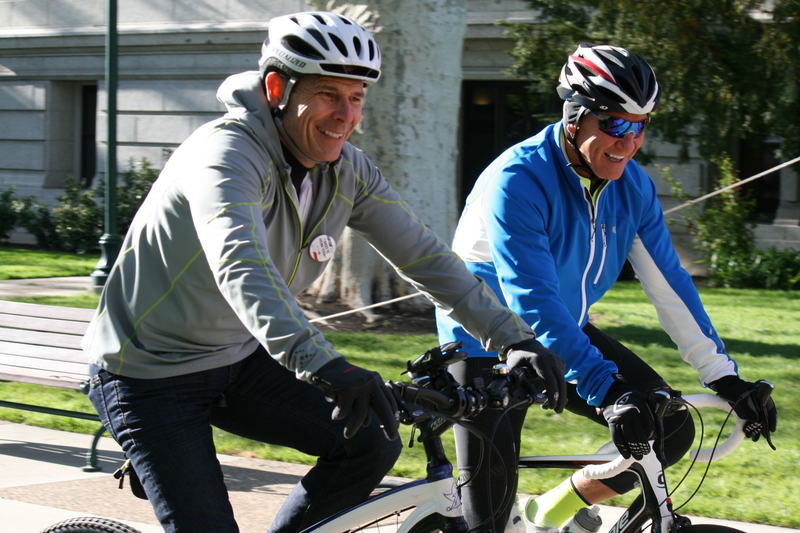 Grab your family, friends, and neighbors, pedal on over to the Historic County Courthouse, and join Mayor John Curtis in all the cycling festivities. The first 25 participants will receive a free helmet – so get there early! 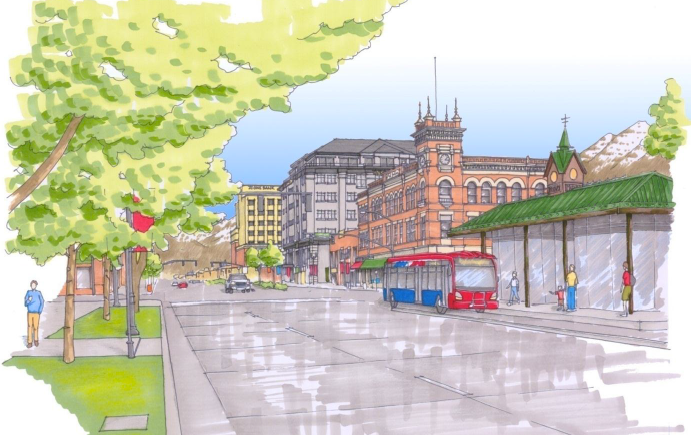 If you’re in favor of complete streets (roads that are friendly to bicycles, pedestrians, cars, and transit), please help out by coming to the Utah County Commission meeting tomorrow and speaking in support of the Bus Rapid Transit (BRT) system for Provo and Orem. This project has been years in the making and will be the backbone for more reliable, connected public transportation throughout the entire county. 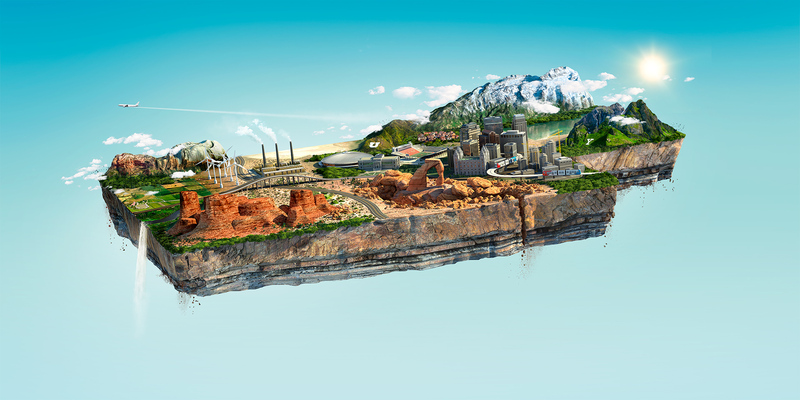 But, the project is at risk due to a few vocal and last-minute opponents. What: Please stand up during public hearing (first item on the agenda) and let the county commission know that you support complete streets – including the BRT system in our county. Just a short statement will go a long way. Also, please share this with your friends and family whether or not you can make it. The more voices we have, the better. If you’d like to learn more, take a look at this write-up about having vision from Mayor John Curtis or today’s letter in the Herald from Bruce Hall. Speaking up can feel a little scary, but your voice is needed. Keep in mind that the people at the meeting are just your fellow neighbors and you’ll be surrounded by a community that cares about transportation issues just as much as you do. What better way to celebrate bike month than to advocate for complete streets? 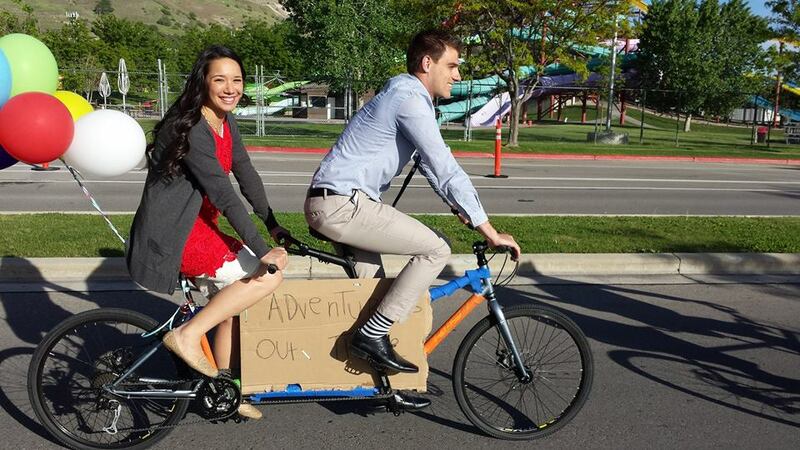 May is National Bike Month and Provo is celebrating the benefits (and the fun) of bicycling. Here is a list of the month’s events. Everyone is welcome. Check back on this website for more information throughout the month.